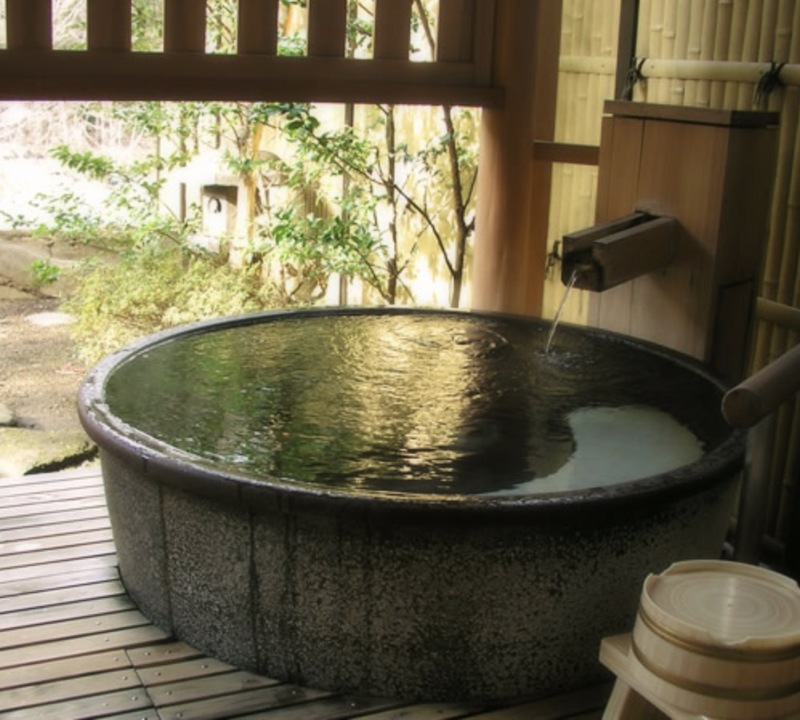 Japanese really like taking a bath! .. especially in winter season. 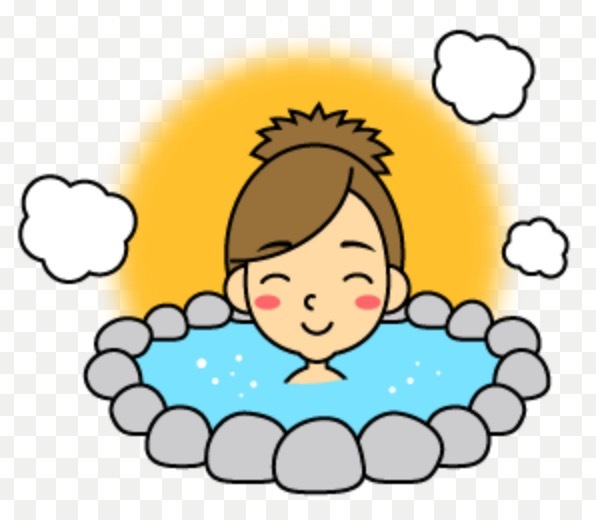 Recent scientific research showed that the person who take a bath everyday instead of take a shower tends to have better sleep (in depth) and furthermore, feels more happiness in dairy life. We are very welcome that you will visit Japan and have this unique experience! Maybe you will learn about Japanese manner here. Typical representative picture is like this … very Japanesque. We love woods, stones, leafs, sounds of water, and open air. By the way, we radiologists have a strong weapon to evaluate the effectiveness of taking bath; MRI! So, let’s check it out! 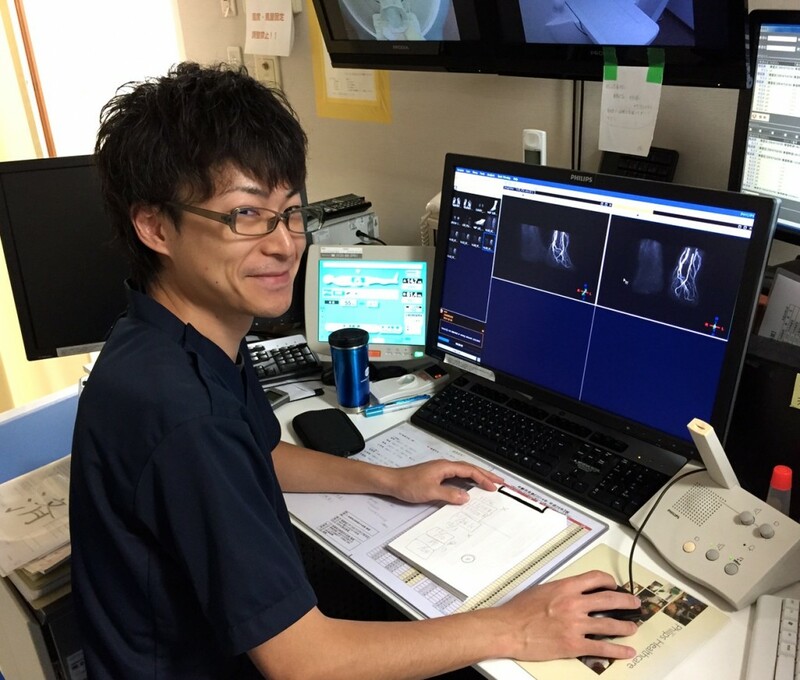 The guy who helps me is Mr. Ito, a technician in radiology section. 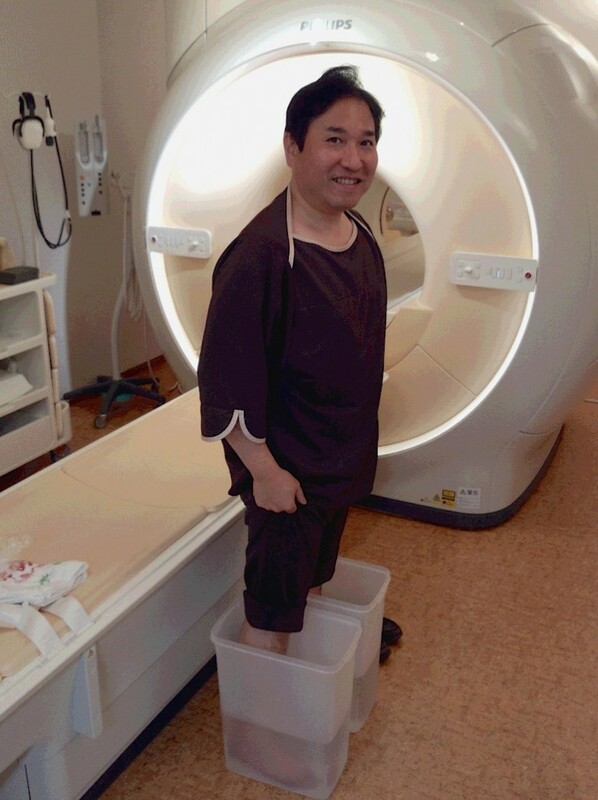 He will kindly operate MRI to get nice images. The volunteer is of course me! I have succeeded my diet trial recently by 13kg, but I am in this picture is bit fatty because this picture was taken 2 month ago. The picture below explains how I put my feet in the water. I dipped my right foot in cold tap water, around at 15 centigrade. The other side was dipped into the hot water around at 43 centigrade (very hot!). It was very strange in feeling, and I confused if my foot is cold or hot… Please try this and have exciting feeling if you are curious! 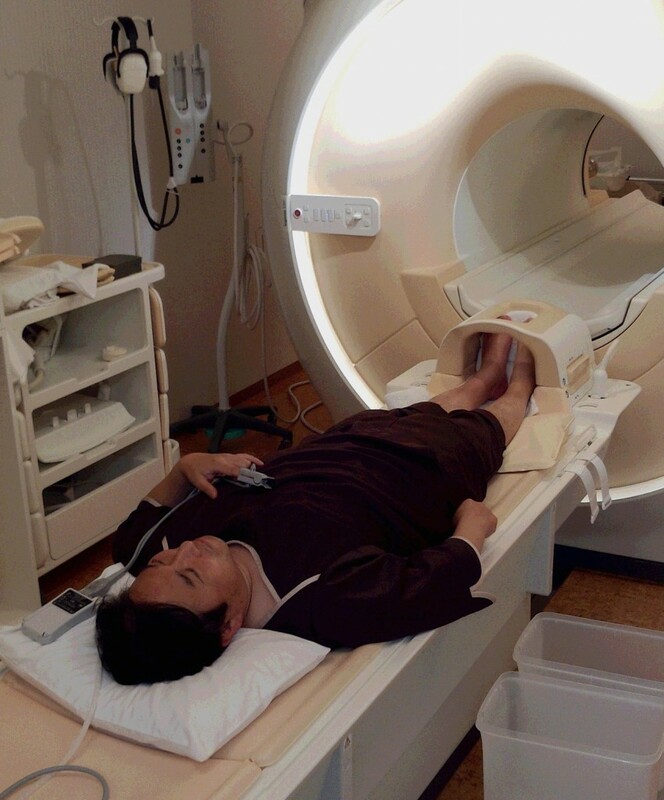 The MRI scan was done with phase-contrast MRA with velocity encoding (VENC) of 10cm/s. As you know very well about this technique, the vessels with fast flow around 10cm/s will show high intensity, and these with slow flow will not show such a high intensity. How about the results…..
Unbelievable! TREMENDOUS difference was obtained! This is really beyond my imagine !!!! The right side, dipped into the cold water, is quite faint in visualization, means very slow flow. 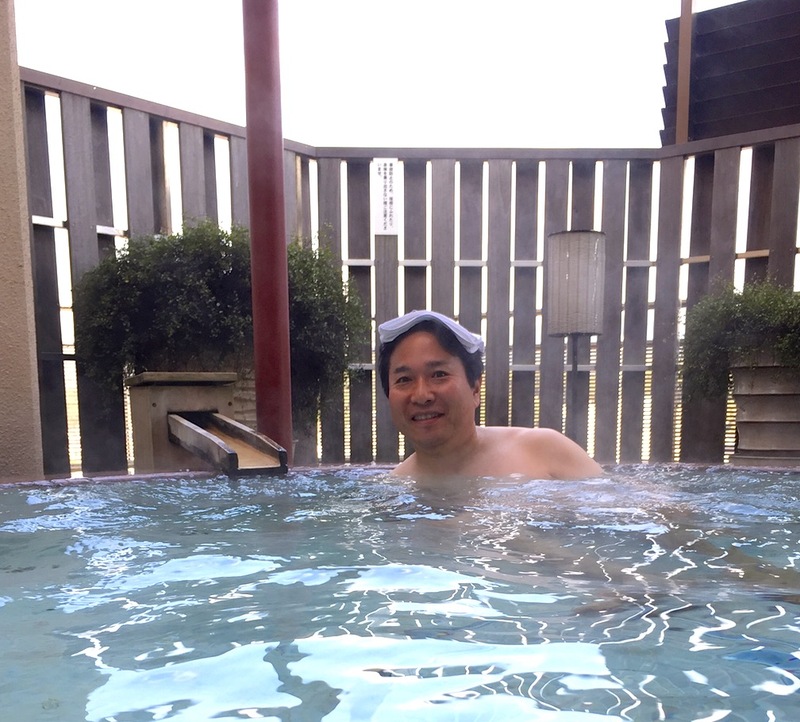 On the other hands, the left side, dipped into the hot water (Japanese ONSEN!) shows very good vasculature! Now we can imagine how ladies suffer from their coldness of feet and hands! 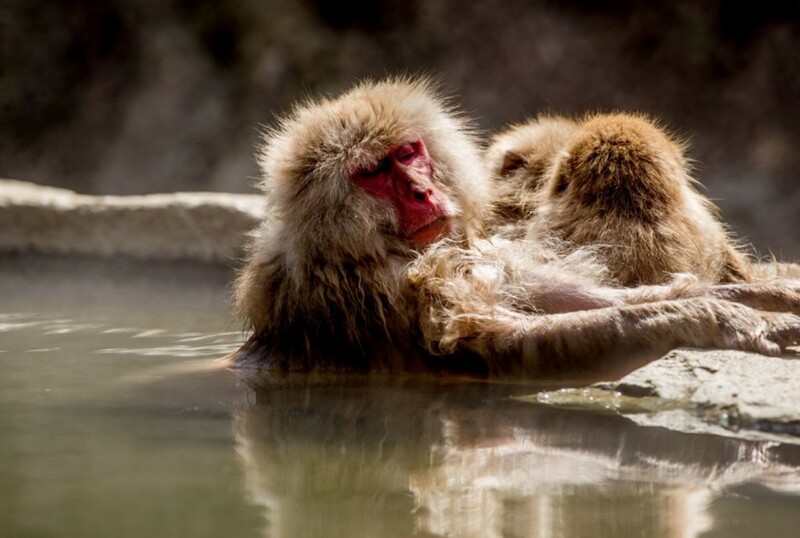 … And I recommend taking a bath like me!